Cover crops are those grown to benefit the following crop as well as to improve the soil. They are normally not intended for harvest. “Green manure” is another term often used for soil-building cover crops. Cover crops can protect the soil, feed the soil eco-system, increase soil organic matter, and supply nutrients to following crops. Selecting the right cover crops for your operation can improve yields, soil and water conservation and quality, and your bottom line. Properly managed cover crops protect the soil surface from water and wind erosion and remediate soil compaction. Growing plants feed the soil ecosystem by exuding compounds from their roots—sugars, organic acids, amino acids, and more. These materials glue soil particles together into aggregates, improving soil structure. Decomposed plant residue becomes soil organic matter that provides food for soil organisms— bacteria, fungi, arthropods, and others—and increases the water storage capacity of the soil. Cover crops can improve soil fertility in several ways. Legumes and their associated bacteria produce nitrogen that becomes available to following crops as plant residue decomposes. Unused nutrients from the previous crop are taken up by the cover crop, reducing leaching losses. Deep-rooted cover crops scavenge nutrients from deep in the soil. These nutrients become available to crops the next growing season as the residue decomposes. Cover crops often affect pest pressures in the cropping system. Weed growth is suppressed on the soil surface by thick plant residue that blocks sunlight and physically slows weed seedling growth. Some cover crops produce allelopathic chemicals that inhibit the growth of weed seedlings. Others suppress parasitic nematodes by repelling, confusing, or starving them. However, some cover crops can support nematodes and diseases harmful to following crops, so care must be taken to select the right cover crop for the cropping system. Cover crops can make an economic difference to your operation, mainly by reducing production costs and risks. 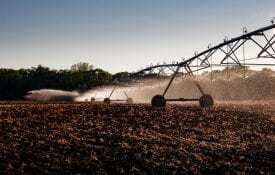 Improved water infiltration and storage can reduce the effects of minidroughts and irrigation costs. Production of nitrogen and scavenging of nutrients can reduce fertilizer needs. By suppressing weeds and pests, cover crops can reduce costs of pesticides and application. Reduction of erosion and soil compaction means less land preparation and tillage expense. 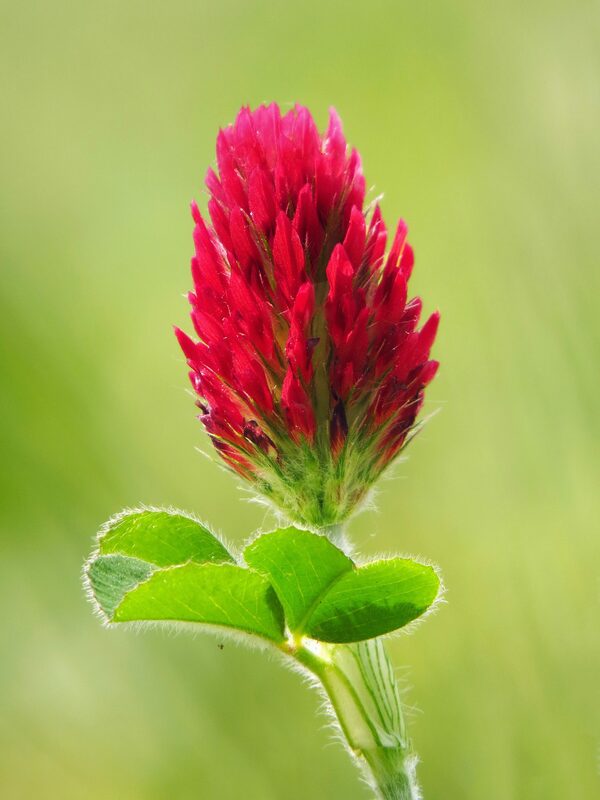 Crimson clover can be an effective cover crop. Peanuts or soybeans. Use any winter small grain (rye is usually best). Corn. Any small winter grain, a winter legume, or both. Vegetables. Most cover crops, including winter and summer cereals, legumes, brassicas, and others. But don’t use a legume cover before legume vegetables. Brassicas. Can be added as winter covers to any of the above. They can help in a number of ways, but don’t use a brassica cover before brassica cash crops. You can grow one cover crop species or a mix of two or more. Farmers across the country are experimenting with a variety of mixtures (cover crop cocktails) to serve a variety of needs; however, research into the use of mixtures in Alabama is limited. Adding additional covers may dilute the benefits of each component. If a mixture is used, covers with similar maturities will be easier to terminate at the same time. Know how and when you are going to terminate the covers before you plant. A cover that doesn’t die when it is supposed to can be a problem. Green or half-dead covers can pull moisture from deep in the soil, interfere with planting, and provide a “green bridge” for pests to move directly to following crops. Generally, allow at least 2 to 3 weeks after termination before planting another crop. Cover crops that have entered bloom or seed development are generally much easier to kill. You can grow your own with legume cover crops. Some cereals, especially rye, are good at scavenging unused nitrogen from a previous crop. Many cover crops, including buckwheat, mustards, radish, and rye, can scavenge unused phosphorus and potassium from deep in the soil and move it closer to the surface. Covers that produce a lot of biomass can help. Rye, black oat, sorghum-sudangrass, sunn hemp, iron clay cowpea, radish, and buckwheat can smother weed seedlings. Some of those also produce allelopathic chemicals that inhibit weed growth. These same chemicals can also affect crop germination and growth, so a waiting period may be needed before planting. Residual herbicides from the main crop can affect cover crops, so check pesticide labels carefully for planting intervals. Crops with deep taproots, like tillage radish or canola, can break through a compacted layer. Other crops that have dense root growth—rye, sunn hemp, sorghum- sudangrass—add organic matter to the soil and improve the soil structure, reducing compaction and slowing recompaction. Some cover crops repel, confuse, or starve pest nematodes—lupin, sunn hemp, velvet bean, black oat, sorghum-sudangrass, and some brassicas. In a healthy soil ecosystem fueled by cover crops, parasitic and predatory organisms can help keep pest nematodes in check. Some cover crops can also harbor pests, so selection of the right ones for the cropping system is important. Beneficial insects can pollinate crops and eat pests. Some covers that attract them are hairy vetch, lupin, sunflowers, and buckwheat. Grazing and harvesting for forage? Some cover crops can provide good-quality forage or grazing early on and still recover to benefit the soil system. Clovers, sorghum-sudangrass, and wheat are especially good for this. However, removal of biomass by grazing can weaken root systems and organic matter, and grazing animals during wet periods can increase soil compaction at depths. If too much cover is removed, many benefits will be lost, such as prevention of soil erosion, infiltration of rain and prevention of runoff, and shading of the soil. Careful management is needed to ensure payback from planting a cover crop, just as it is for any crop. 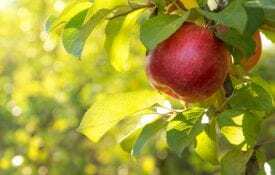 Good- quality seed should be planted at the recommended rate and depth. Planting date is also critical for good development—winter covers should generally be planted at least 2 to 4 weeks before the average first killing frost, and summer covers should be planted when favorable soil temperatures and moisture are expected. Local seed suppliers and cooperatives will often have commonly used seeds for your area. Arnold Caylor has been farming in Cullman, Alabama, and has been using cover crops for many years. As director of the North Alabama Horticulture Research Center, Caylor uses cover crops for vegetable cropping systems, which call for covers in the summer as well as in the winter. 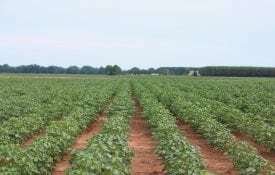 He uses a variety of mixtures, growing cereals for biomass and weed control, legumes for nitrogen, and brassicas for beneficials and pest control. Summer mixes can include tall, strong plants such as sunflower and sorghum sudangrass paired with viny legumes such as cowpeas, soybeans, and velvet bean. These are usually planted from late April through June and terminated July through August. Download a PDF of Cover Crops for Alabama, ANR-2139.